Las Vegas, Nevada (CNN) - Paul Ryan focused on Nevada's high unemployment and foreclosure rates when he visited the battleground state the same day as President Barack Obama on Thursday. 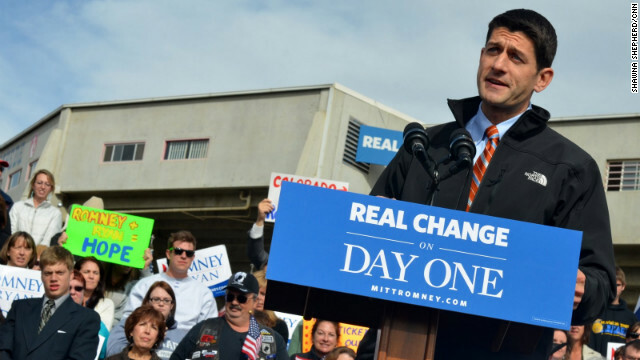 Roughly an hour after the Democratic incumbent held a rally in Las Vegas, Ryan spoke to fewer than a thousand people in Reno, where his running mate and Republican presidential nominee Mitt Romney campaigned just a week ago. (CNN) - Sen. Rand Paul of Kentucky held firm on his stance Thursday that local government provides better service when disaster strikes than the Federal Emergency Management Agency. This summer, the Republican senator made headlines when he held up a bill re-authorizing the National Flood Insurance Program by attaching a non-related "personhood" amendment that called for defining life as beginning at conception. 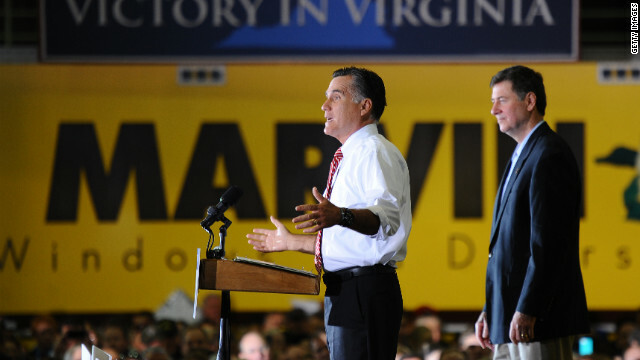 Virginia Beach, Virginia (CNN) - Mitt Romney will deliver what his campaign is describing as his "closing argument" Friday, a top aide to the GOP nominee confirmed to CNN. The Republican candidate is scheduled to articulate that final case to voters at a campaign stop in West Allis, Wisconsin before heading back to the battleground state of Ohio for two campaign stops. (CNN) - Why should one vote early? Because you might just meet that special someone, Joe Biden says. 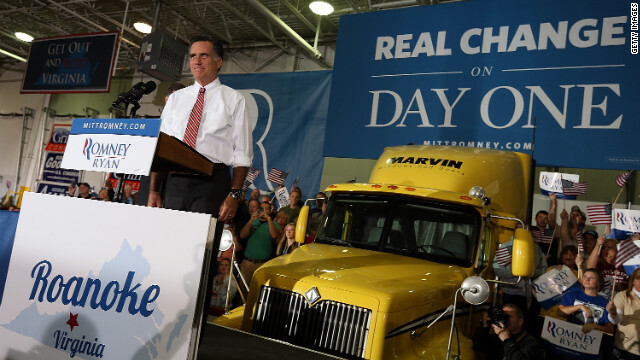 Norfolk, Virginia (CNN) –In a late campaign push to change the battleground map, Mitt Romney will travel to Pennsylvania on Sunday in the hopes of capturing the traditionally Democratic-leaning state. 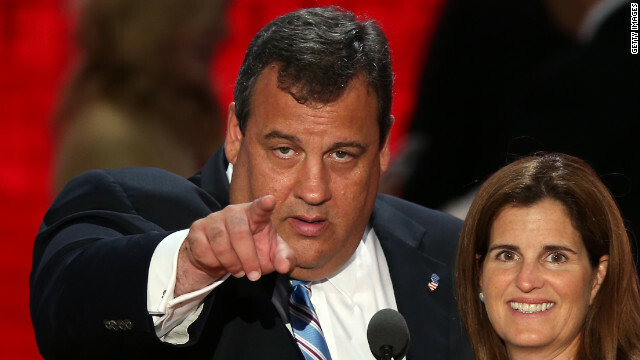 A Romney campaign official confirmed to CNN the GOP nominee will stop in the Philadelphia area Sunday afternoon. 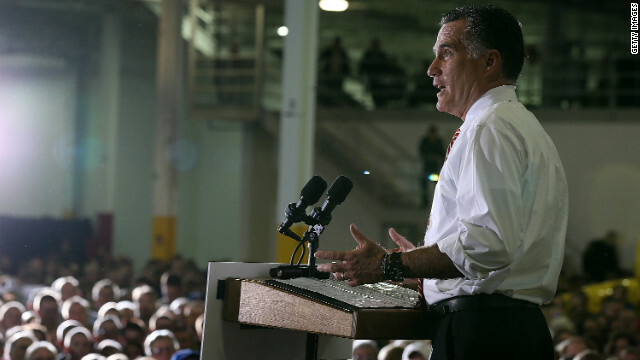 The Pennsylvania event falls into the Romney campaign's newly adopted strategy of expanding the battleground map in the final week of the race. Top strategists to the GOP nominee targeted Pennsylvania, Michigan, and Minnesota this week for potential gains, pointing to polls in the states that show Romney gaining on the President. Too soon to be campaigning after Sandy? (CNN) - Is it too soon to be campaigning after Superstorm Sandy? CNN’s Suzanne Malveaux reveals the results of an online survey that is part of CNN’s ‘I’m Voting’ app on Facebook. Follow CNN on Facebook and click on the “I’m Voting” app to take the pledge to vote. 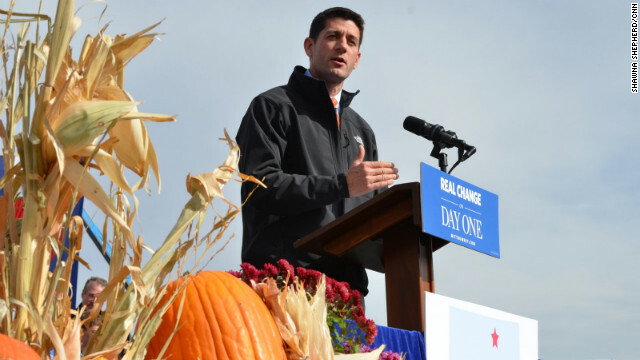 Greeley, Colorado (CNN) - In Colorado Paul Ryan added to the chorus of criticism against President Barack Obama for suggesting a "secretary of business" cabinet-level position be created. Obama floated the idea during an MSNBC interview on Monday, before Superstorm Sandy made landfall, so the Republican presidential campaign waited days to go after their Democratic challenger. 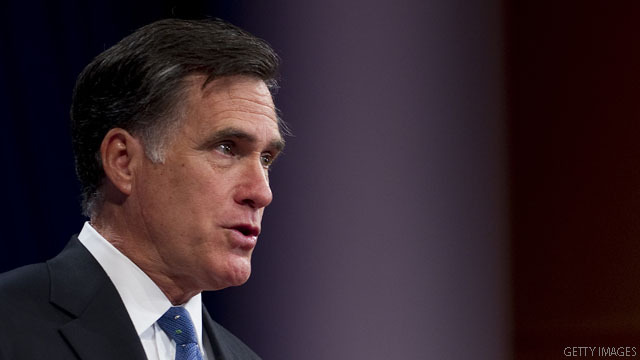 Washington (CNN) – In between campaign stops, Mitt Romney Thursday joined a conference call to thank his campaign's major financial boosters, CNN has learned. Speaking to members of the campaign's national finance committee, Romney acknowledged the work they did over the past two years helping to raise over $800 million for the campaign and the joint Republican victory effort and said he wasn't sure how to show his appreciation besides telling them, according to one of the participants. (CNN) - Washington gubernatorial candidate Rob McKenna looks to help Republicans cross an important threshold while expanding their power at the top of state government nationally. McKenna is locked in a competitive race in a state that hasn't had a Republican governor in nearly 30 years. It's just one example of how the party is leveraging trends and strengthening its hand in a number of ways in state races across the country. CNN's GUT CHECK | for November 1, 2012 | 5 p.m.